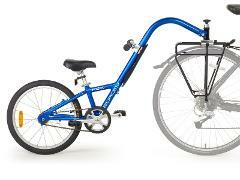 Our City Bikes are easy riding bikes great for exploring the city or riding along the scenic beach bike path. It’s a light, fun, comfortable companion mile after mile. Frame sizes accommodate riders from 5'0″ to 6'4″. 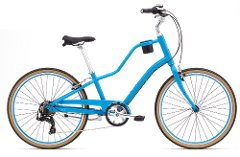 Guardian and Giant Kids' bikes, built with lightweight frames with a low center-of-gravity, they offer a comfortable and smooth ride.Two sizes available. The Co-Motion Periscope Scout is a highly adjustable tandem. Light weight and well-equipped for your next family adventure. 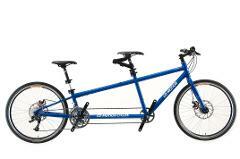 The Kidz Tandem provides a quality together-time bicycle for you and your children to ride! Taga is a multifunctional trike designed for families on the go. It is a baby stroller and carrier bike all rolled into one. In seconds, Taga goes from super fun, safe and maneuverable bicycle to designer stroller. The e-Katu by Orbea is uniquely universal. One size fits most. With electric assist, it will give you just the extra push you need, depending on your own pedaling power. The ultimate family bicycle. 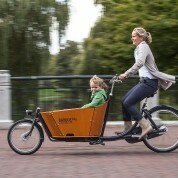 Electric cargo bike can fit up to two small kids (or one adult) and beach gear in the front. 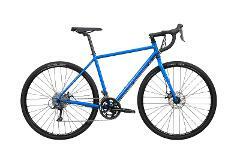 The award winning Shorty is the perfect bike for the urban multitasker, with places to go. and things to do. The Shorty's box is flexible you can easily bring your child or dog on a trip through the city - or on a quick escape out of town. Ride with up to four kids or two kids plus beach gear for all day adventures. Always have the wind at your back thanks to the electric pedal assist and step-less gear shifting! 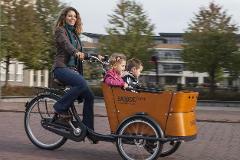 Cycle your children everywhere you want with the safe, fast and comfortable electric assist cargo bike. Ride with up to two kids and beach gear all day long. 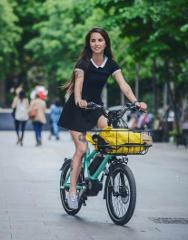 Start your adventure with the Xtracycle 8e Electric Assist cargo bike. 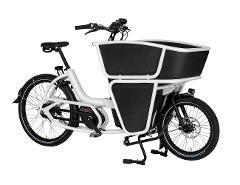 Carry up to two kids on the comfortable rear deck, the bike accepts Yepp Maxi seats for smaller children up to 48 pounds. Handrails all around keep the kids safe. This bike can do it all. You can comfortably fit up to two children. 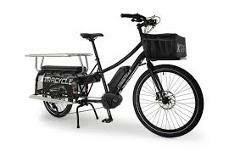 The Xtracycle Edgerunner is a great versatile bike, easily accommodating riders from 5'7" to 6’2" tall. The Yepp Maxi is a rear mounted child seat that is suitable for children up to 22kg / 48 lbs. Also available is our Yepp Mini front mounted child seat for kids nine months to three years, up to 15kg. The Kazoo single-speed trailercycle lets your child learn how to ride while staying safely behind you during the trip! Our kids' wagon has seating for one or two children and includes cutting edge features such as bowed-out sides for enhanced shoulder room, tinted UV protected windows, and retractable sunshade.